“It’s really touching to see the bond between them and so sad to think someone could so cruelly abandon them." 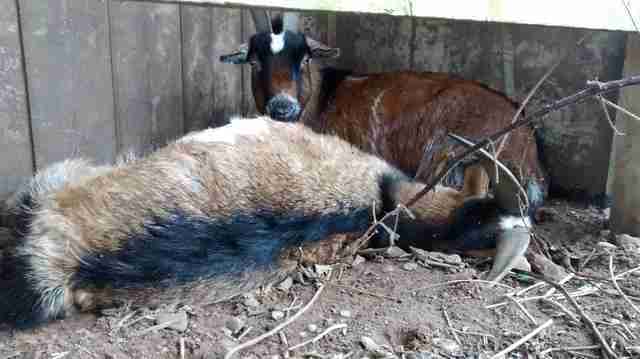 When two goats were abandoned under a bridge in England, they huddled up there together, waiting for help. Unfortunately, one of the goats passed away at some point — but the remaining goat absolutely refused to leave his best friend’s side. Even though his friend had already passed on, the goat stayed snuggled up against him, watching over him. After a while, passersby began to notice the poor goat and his friend, and before long, someone finally called the RSPCA for help. 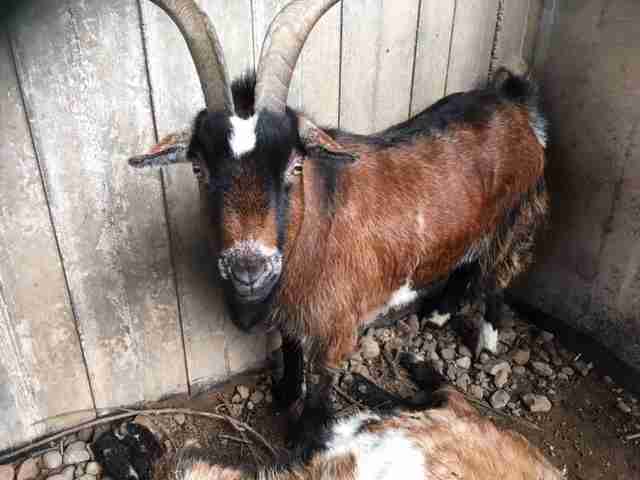 The RSPCA agreed to come out and try to help the goat, but rescuers knew it wasn’t going to be easy. The goat was clearly heartbroken over the loss of his friend, and moving him away from his friend was going to be incredibly difficult. 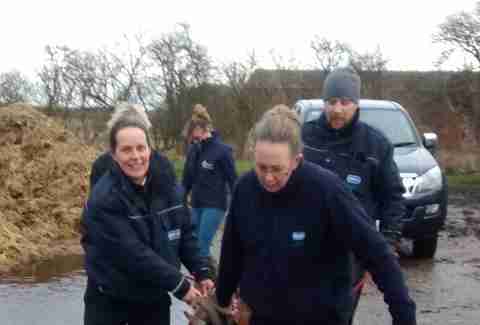 Four members of the RSPCA went out to where the goat had been seen, and hoped they would have enough manpower to lead the goat to safety. After a bit of a struggle, the group was finally able to lead the goat to safety, and he was taken in by the RSPCA. He seemed to be in good condition, and had no medical issues or injuries. He’s now safe and sound, and his rescuers are making sure that wherever he ends up, he will have lots of new goat friends to play with, to help ease the pain from the loss of his best friend. If you’d like to help other animals like these goats, you can donate to the RSPCA.